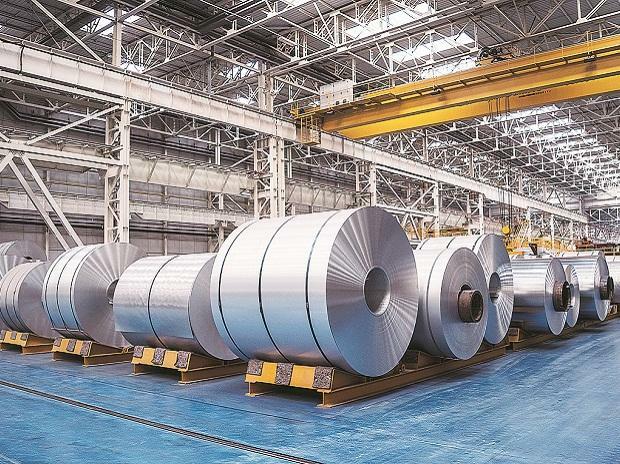 Buoyed by the recent acquisitions of Bhushan Steel and Usha Martin, Tata Steel has set targets to achieve at least 30 per cent volume sales from downstream products by 2025. Stepping up downstream sales is part of Tata Steel's deft strategy to counter the vagaries of a cyclical steel business. By 2025, Tata Steel is looking to ramp up its India crude steel capacity to 30 million tonnes per annum (mtpa), from 18.6 mtpa currently. The steel maker has been diversifying its portfolio with differentiated product and service offerings. Close to 70 per cent of its product mix (as on September 30, 2018) was made up of enriched and value added products. Besides Bhushan Steel and Usha Martin's speciality steel plants, Tata Steel's brownfield expansion at Kalinganagar will see the commissioning of a cold-rolled complex with a thrust on servicing downstream industries, especially automotive. In the second phase, the rated capacity of the Kalinganagar mill in Odisha is being scaled up to eight mtpa with an investment of Rs 23,500 crore. “One of our focus areas is capital deployment in value-added downstream assets and ventures. The takeover of Bhushan Steel plant has brought in downstream integration and value addition with a complementary product mix”, said a source in the know. Currently, Tata Steel commands 85 per cent of the carbon steel market. Nearly half its domestic sales come from the construction sector. The automotive sector has 28 per cent share in the sales pie, followed by general engineering (13 per cent) and Railways (seven per cent). Tata Steel hadn't responded to Business Standard's email queries at the time of filing this report. Acquisition of a controlling stake in Bhushan Steel Ltd (BSL) has given Tata Steel rich exposure in downstream business. More than 45 per cent capacity of the Bhushan Steel plant at Meramandali near Angul (Odisha) is devoted to downstream products. BSL is the first Indian steel plant to supply skin panels to auto makers, and is the market leader in colour-coated supplies to the appliance segment. Besides, the BSL plant has a wide range of tubes and pipes. At Kalinganagar, the downstream segment is expected to make up five per cent of Tata Steel's product mix after the ramp-up to eight mtpa from nil currently. Apart from downstream, Tata Steel is banking on services and solutions- a segment that will add 20 per cent to its revenues by 2025. The steel maker also plans to branch out to operations beyond steel to emerging materials such as graphene, carbon fibre-reinforced polymer and advanced ceramics.